The complexity of liver & bile duct surgery cases range from minimally invasive laparoscopic and robotic cancer surgery operations to the “most extreme” liver surgeries using extracorporeal circulation and liver transplant-type intraoperative preservation techniques. Dr. Alden has dedicated his life to the war on liver cancer, bile duct cancer, and pancreatic cancer. The NYC liver cancer surgeon & pancreatic cancer surgeon has performed well over 3500 surgeries in the past 15 years. At the forefront of medical innovation, he is a liver and cancer specialist who treats the most complex cancers using only the most advanced surgical procedures and technologies. The top rated surgeon and his world class team offer a multidisciplinary super specialized and custom liver and bile duct surgery program dedicated to the treatment of adults and children with all stages of liver disease including liver cancer. The team provides comprehensive state-of-the-art services, including diagnostic testing, medical treatment, liver surgery, liver transplantation, and support prior and after treatment. Liver transplantation services are available for patients with advanced liver disease. The world class NYC liver & bile duct surgeon, Dmitri Alden, MD (and his team of liver cancer and bile duct cancer specialists) perform more than 200+ liver and bile duct surgeries (including liver transplants) a year. Please note: Dr. Alden accepts insurance if he participates with your plan. 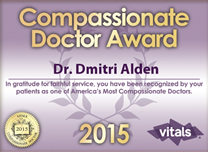 Additionally, if Dr. Alden does not participate with your insurance plan, Dr. Alden’s office is frequently able to obtain pre-authorization from your insurance plan based on his uniqueness of his specialty. We will contact your insurance company to understand your benefits and additionally submit for you. You will enjoy the luxury and benefit of academic medicine in a top rated concierge environment without the hassle of long hospital waiting room times and paperwork. Most policies reimburse patients for most of the cost of surgery. Our surgical coordinator will help you with a quote. Liver surgery and bile duct surgery encompasses some of the most challenging surgical operations that could be performed in the abdomen and possibly in the human body. Liver and bile duct pathology varies from congenital to benign and malignant disease. The anatomy of this region is extremely complex and highly variable. There are many normal antomical variations of the arterial venous and biliary (bile duct) systems. Understanding these variations and how they affect surgical decisions before and during surgery is critical. Many years of dedicated, specialized training are required in order to gain adequate expertise to operate comfortably in this area of the body. In addition, extensive experience in a high-volume liver surgery hospital and recurrent continuing medical education is recommended. Dr. Alden specializes in taking exceptional care of each patient from the initial complimentary consultation to the post-operative period. The honor and privilege of caring for patients comes with the responsibility and dedication of the surgeon’s staff to the utmost standard of excellence in patient care and final surgical outcome.